Download VideoLAN Movie Creator - please note this is unstable software and may crash. Often. 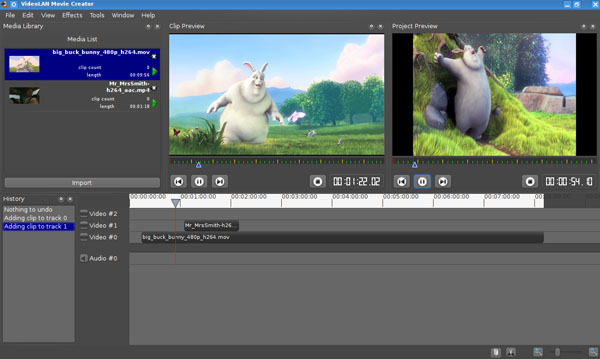 VideoLAN Movie Creator is a non-linear editing software for video creation based on libVLC and running on Windows and Linux. Please keep in mind that this is an early release, and that it will (probably) crash many times.